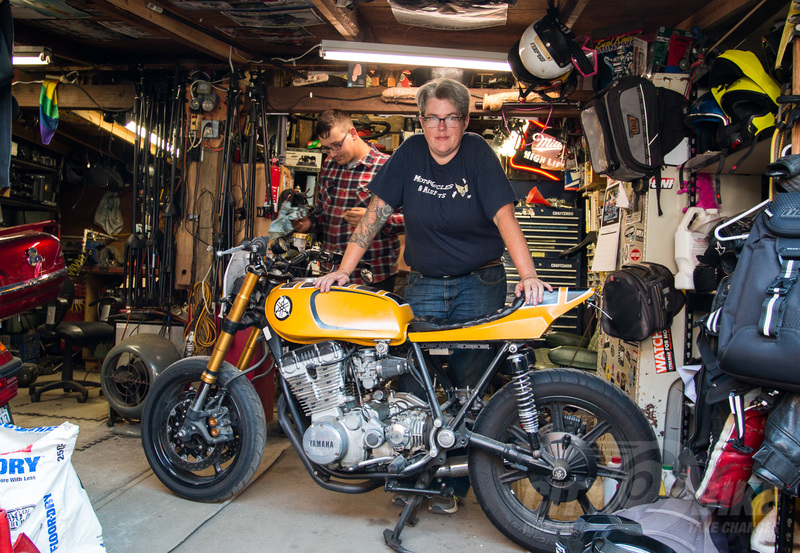 Liza Miller, creator of the Re-Cycle Garage in Santa Cruz and Motorcycles & Misfits podcast (captured above at last weekend’s One Motorcycle Show), has been chosen to receive a 2019 AMA Board of Directors award, the Friend of the AMA Award. The Friend of the AMA award honors those in the motorcycling community that have strongly supported the AMA mission and programs, whether they be clubs, companies, sponsors or partners of the American Motorcycle Association. We covered Liza, her crew at the Re-Cycle Garage and the Motorcycles & Misfits podcast back in our October 2016 issue. We also periodically join the podcast to shoot off our mouths with the Misfits. We’re fans, and glad to see her and the Misfits getting some much-deserved recognition from the AMA. The award is perfectly timed, as the podcast just broke one million listens. It wasn’t just local DIY and podcasting heroes that earned the respect of the AMA. Some cat by the name of Malcolm Smith earned the Dud Perkins Lifetime Achievement Award. “Legendary motorcyclist,” indeed. You can read more about the other award recipients over at AmericanMotorcyclist.com, and while you’re there, if you’re not already a member, consider joining the AMA. Liza with one of her bikes at the Re-Cycle Garage in Santa Cruz. Photo: Angelica Rubalcaba.